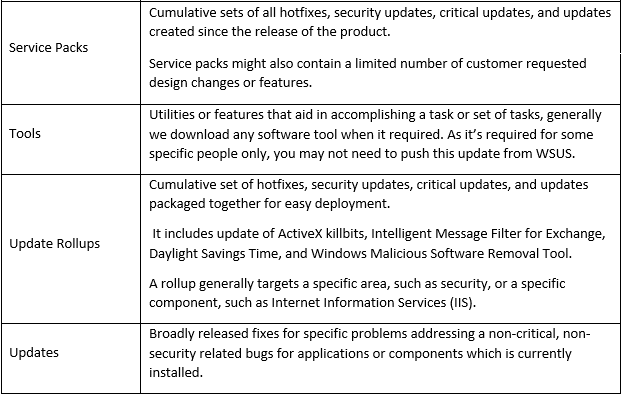 Update classifications represent the type of update category, for example, Critical Updates and Security Updates. 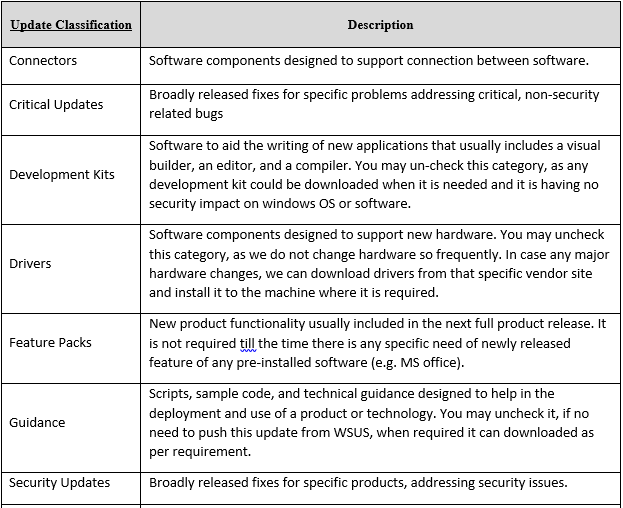 This classifications criteria plays very important roles when deciding what kind of updates you are actually going to approve for your end user’s computers. 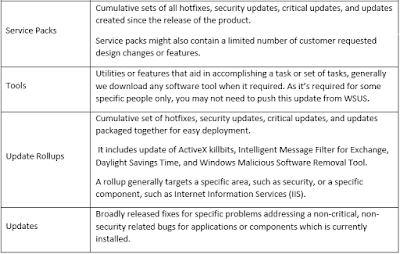 Security and critical updates categories are most commonly preferred categories for windows machines patching. Note: Downloading Update by “Classification” or “Product” does not mean installing them to any computer. Patch installation take place on any machines only when administrator approves it or if any automatic patch approval rule is applied for any machine or machines group. Please refer the below list of WSUS update classification category.